By now, you may have heard rumblings about red lipstick being used as an under-eye concealer. While it might sound like one of those far-out beauty hacks you’re always reading about, this one actually makes a lot of sense, from a color-theory perspective. If you take a look at the color wheel, you’ll see that shades of red are directly opposite shades of blue and green—veiny colors that are at the root of under eye shadows. 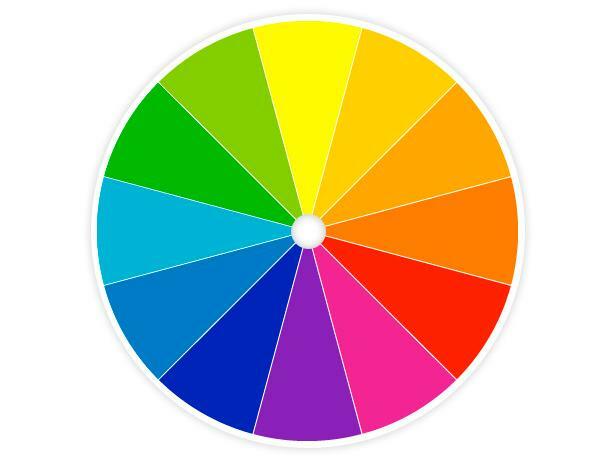 It’s common knowledge that opposing colors on the wheel can, in essence, cancel each other out, making red a viable way to neutralize blueish tints. Of course, it’s not as easy as slapping on some Ruby Woo war paint and calling it a day—it takes a little effort to make this trick work because you’re using the red lipstick as a primer for your actual concealer, but once you get the hang of it, it’ll feel like second nature. It’s key to let the red set for about a minute (during which time you obviously post an Instagram showing the world just how dedicated you are to makeup), and afterwards, simply apply concealer over the red area with a sponge. It might take a few tries to accurately nail the steps, but once you do, you’ll be hooked. If you’re rolling your eyes right now at the thought of adding yet another step to your makeup routine, consider this: Using a creamy red lipstick to hide under-eye circles can lessen the amount of concealer you use, which means you’ll actually appear to be wearing less makeup, which is always a win. Plus, by masking shadows like a pro, you’ll look more awake, and who doesn’t want that? One thing to note before you go ransacking your vanity for every shade of red lipstick you’ve ever bought: This trick works best with basic formulations—think slightly creamy or matte, rather than frost, sparkle, shimmer, gloss, or anything else that’ll call attention to the under-eye area rather than seamlessly blend in. Not sold? 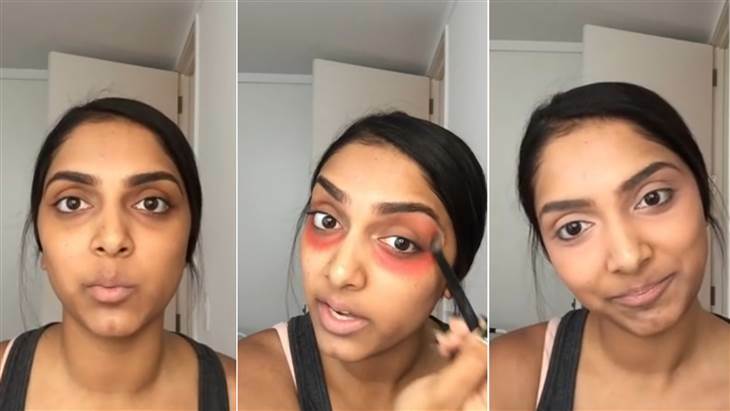 For a visual step-by-step guide, head over to beauty blogger Deepica Mutyala‘s YouTube tutorial, which has racked up over 4 million views since January. As you’ll see on the color wheel, green is an effective way to camouflage redness. Try dabbing on green concealer under your nose, in the corners your mouth, on top of broken capillaries or try a green-tinted primer to even out splotchy skin. 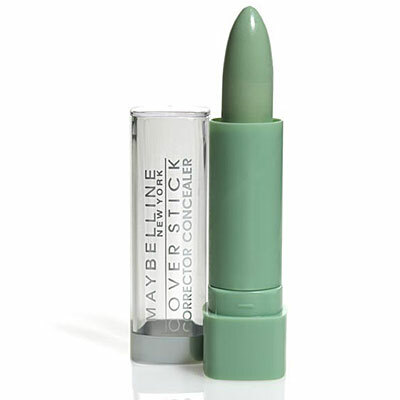 Products to try: Maybelline Coverstick Corrector Concealer, $4.99; Physician’s Formula Conceal Rx Physicians Strength Concealer, $5; Smashbox Photo Finish Color Correcting Foundation Primer, $15. 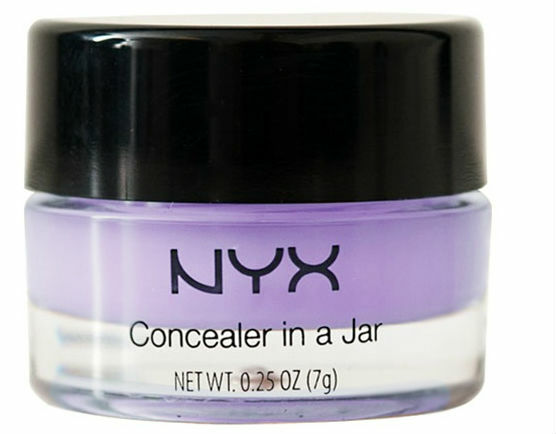 Again, consulting the color wheel shows us that a violet-tinged concealer can work to cover yellow tones—great for sallow skin or yellowish discolorations. 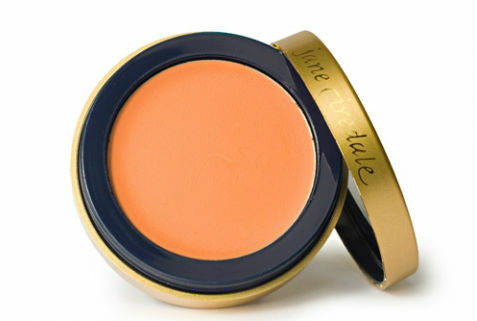 Like red lipstick, orange concealers can work to hide true-blue hues—intense shadows, bruises, hyperpigmentation, or visible veins.